Food Librarian The Food Librarian: My hump, my hump, my lovely (madeleine) hump! 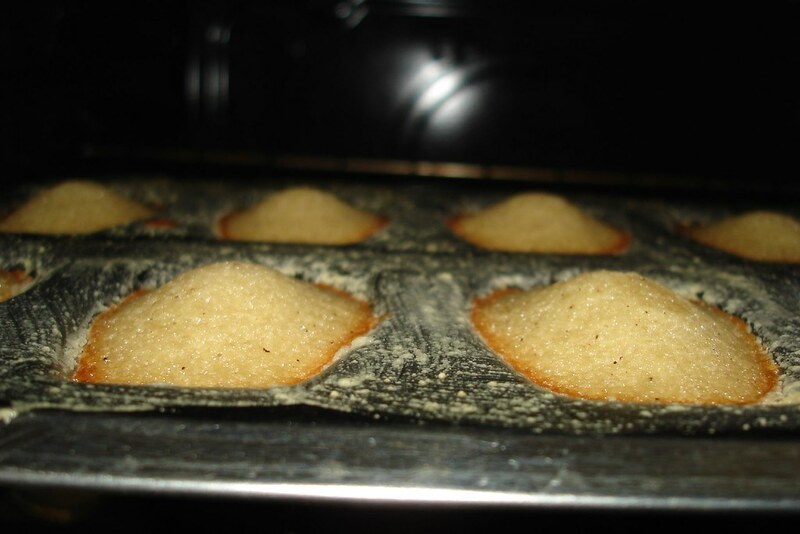 On my continuing and painful search for the perfect madeleine recipe...yeah, you know. 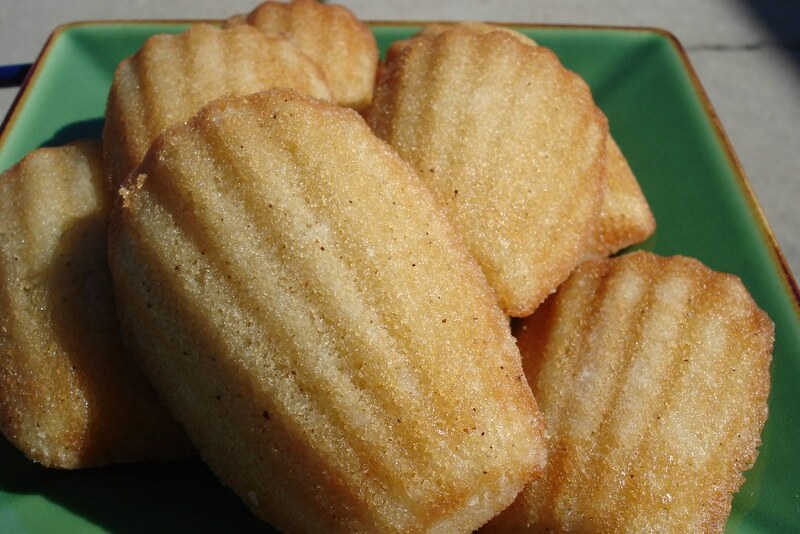 One of the problems with the other recipes was that although the madeleines were tasty, the nice shell pattern wasn't distinguished and the characteristic hump on the back of the madeleine was no where to be found. I made two batches of the Honey Madeleines. The first one, I followed the recipe and made brown butter. You melt 1 1/2 sticks of butter (to make 12 madeleines - it is best to NOT do the math on the butter intake)...and then allow it to boil while stirring. The milk solids get brown and nutty smelling. After a quick strain to remove the big bits, you let it cool off before adding to the dough. Can you see the little brown flecks of the brown butter? Really, look at that hump!! However, the taste was nothing to sing about. It was strangely spongey, sorta moist in all the wrong places, and too buttery or too sweet - I couldn't figure it out. 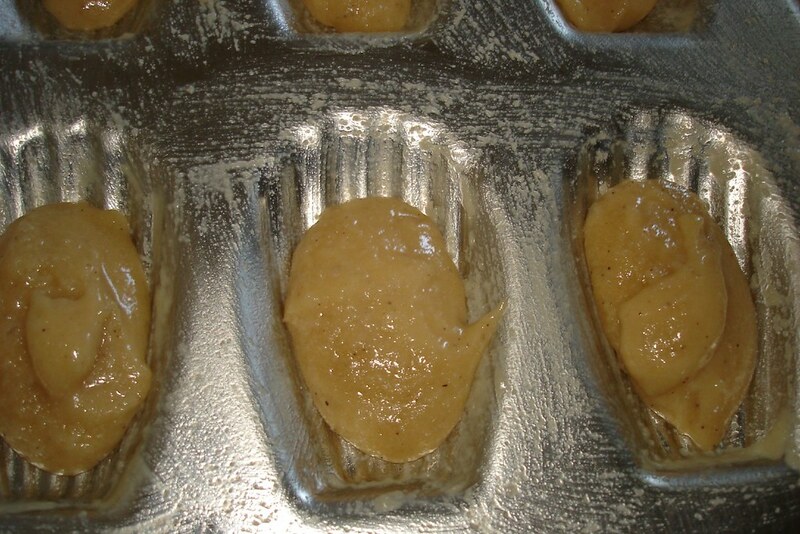 By the way, I made a second batch of Honey Madeleines to see if the first result was a fluke. This time, I used regular melted butter and didn't brown it. But, the butter wasn't the problem...these also ended up on an extended visit with Mr. Trashcan. (However, I did get another round of awesome humps). 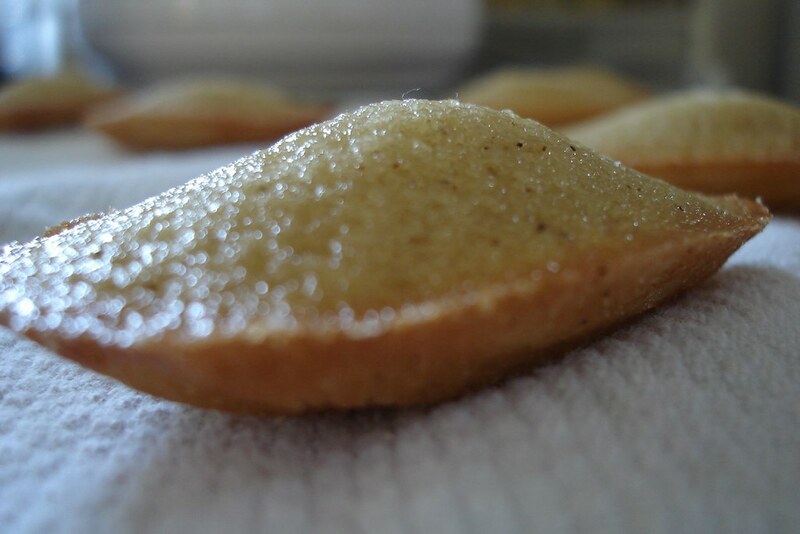 I found your blog posting on madeleines while I was going through my own online search frenzy for madeleine recipes! Having now obsessed over this topic for the past 3 months and trying 6 different recipes, I found my top 2 recipes so far: 1) from Mark Bittman's "The Best Recipes in the World" and 2) from David Leibovitz' blog - http://www.davidlebovitz.com/archives/2007/12/humpy_madeleine.html. Good luck in your own search for THE recipe to these elusively perfect cakes, and keep us updated on any good ones you test!